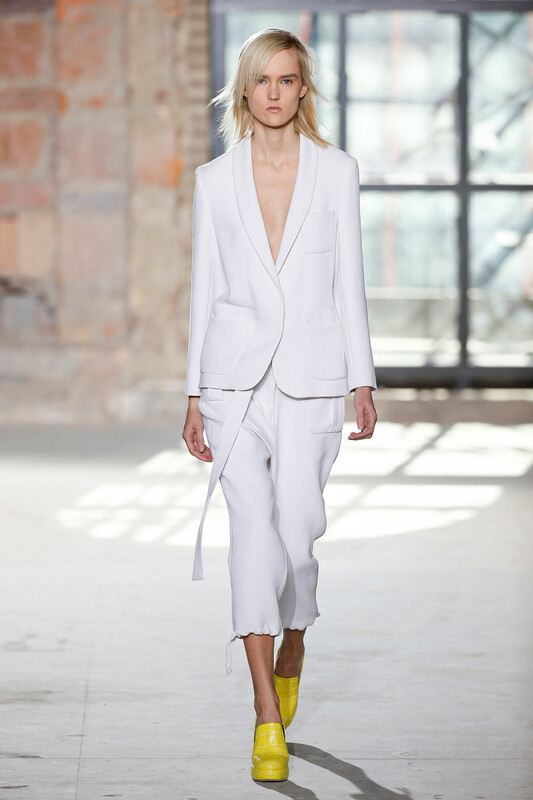 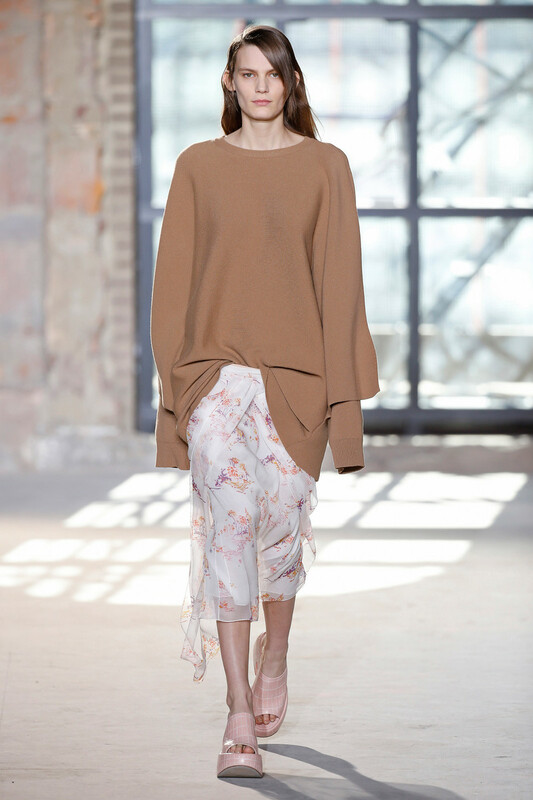 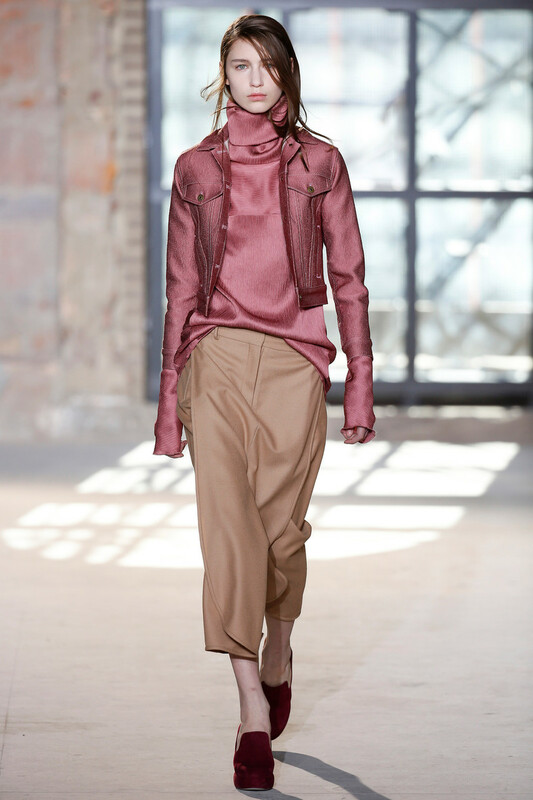 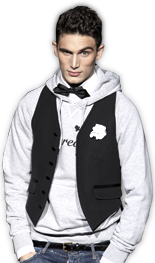 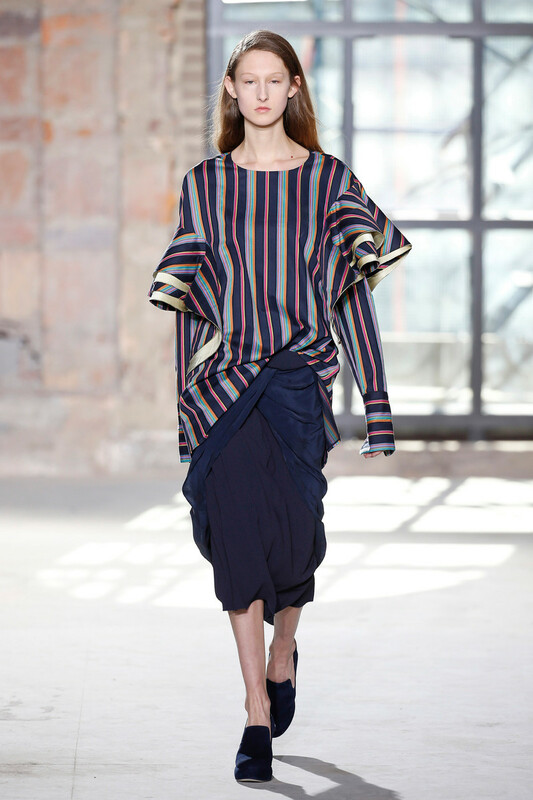 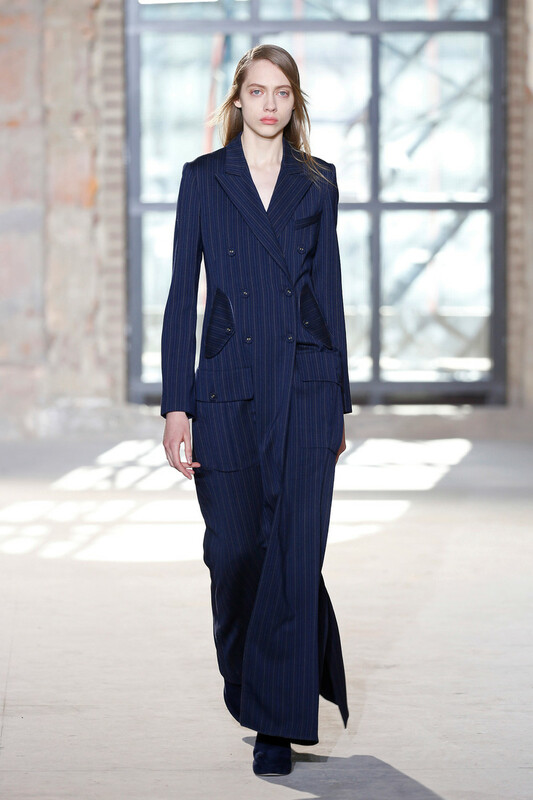 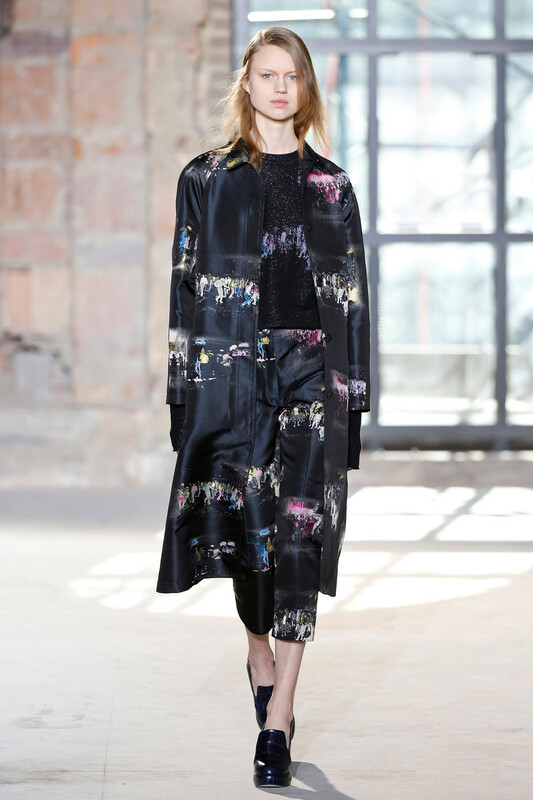 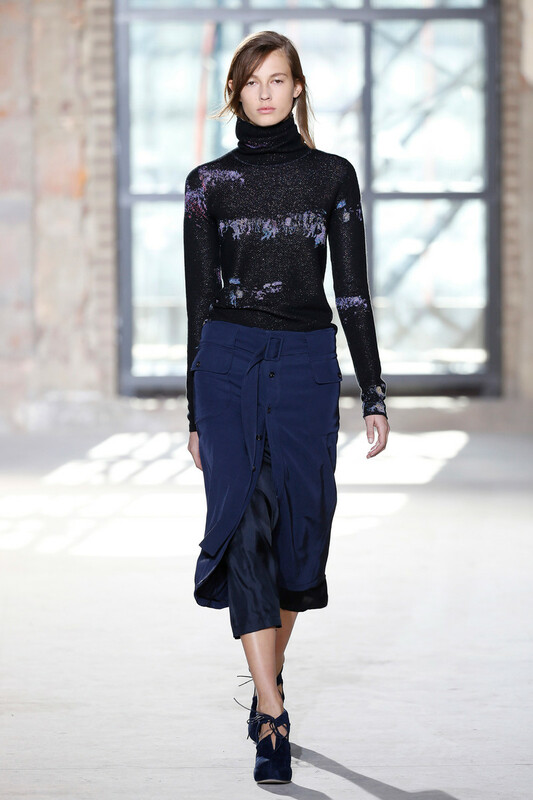 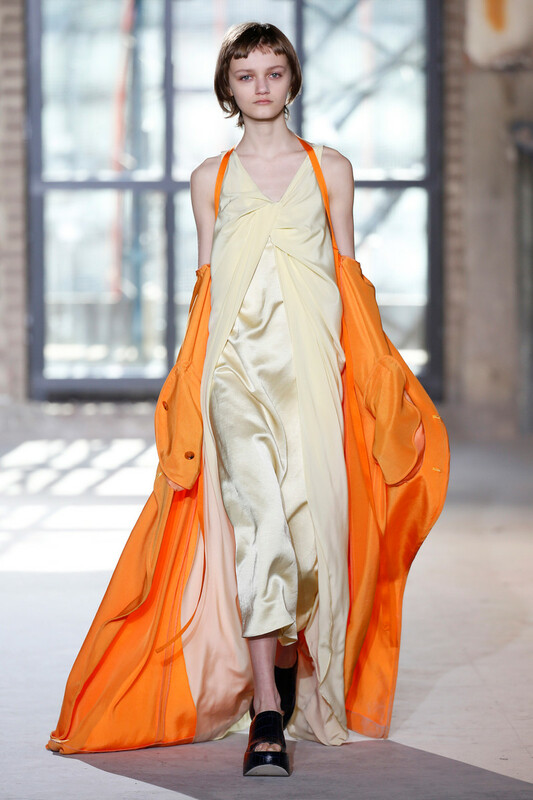 Dutch designer Sander Lak was the talk of town yesterday in New York. 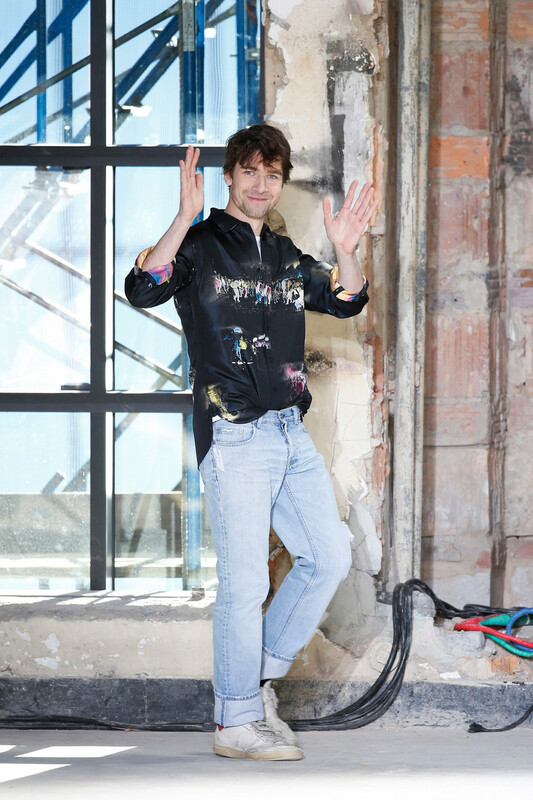 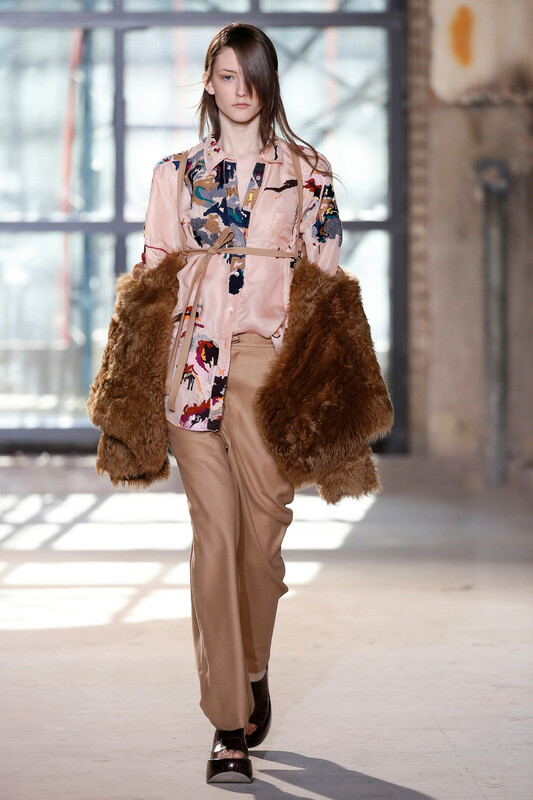 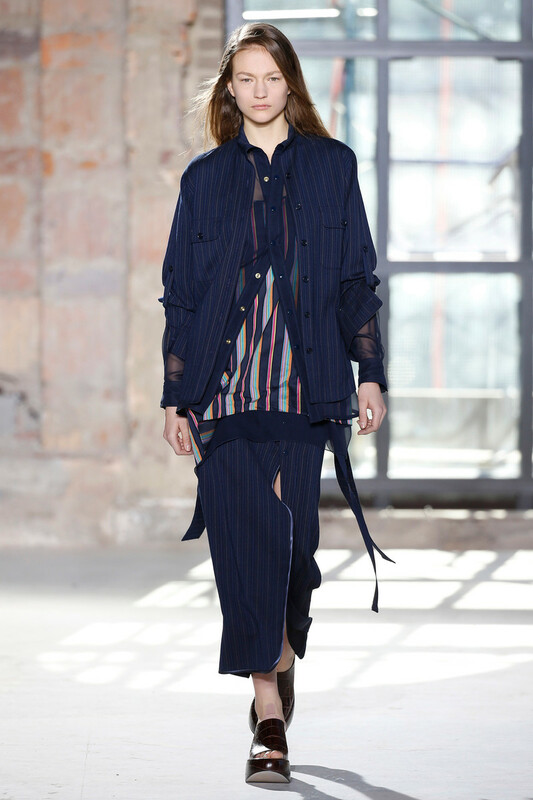 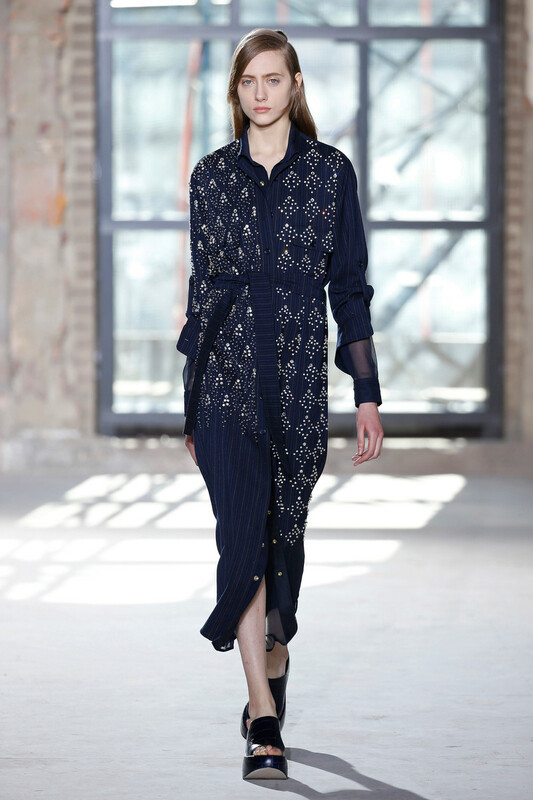 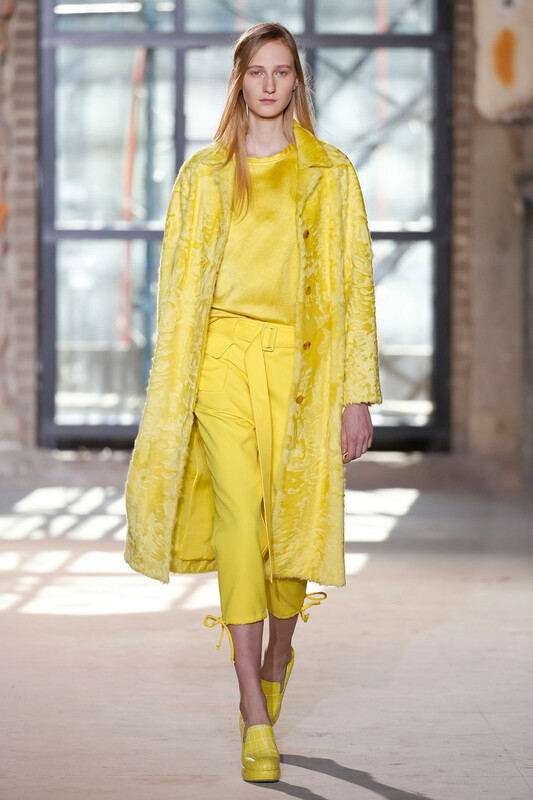 His fresh and relaxed debut-collection – after working for years as headdesigner at Dries van Noten and – was a welcome change of style between all the heavy, furry and layered styff people had been watching over the past days. 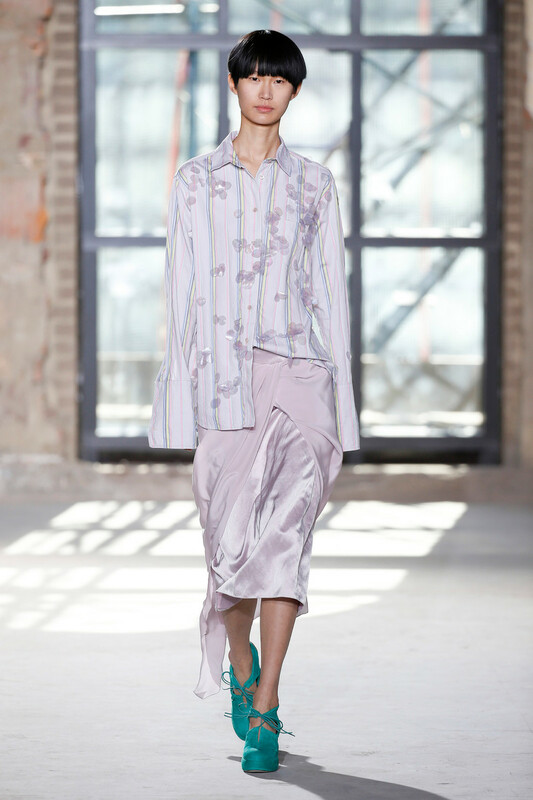 The name Sies Marjan is a combination of his parents’ given names. 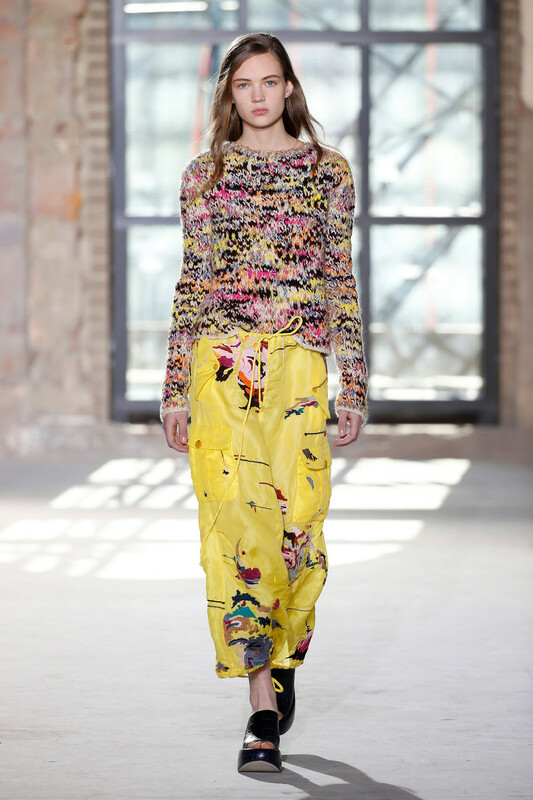 The Dries influence was notable, most obviously on his familiar use of color combinations: warm pastels offset by natural tones. 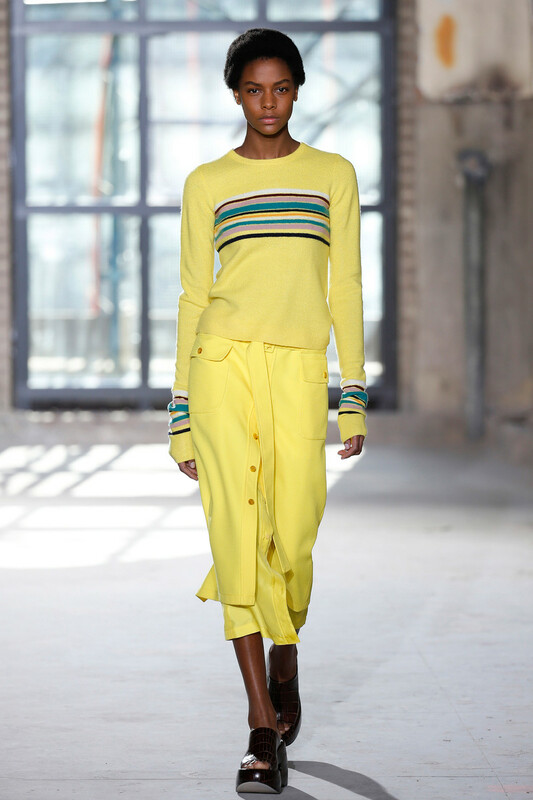 The freshness was in the more urban, utilitarian hand. 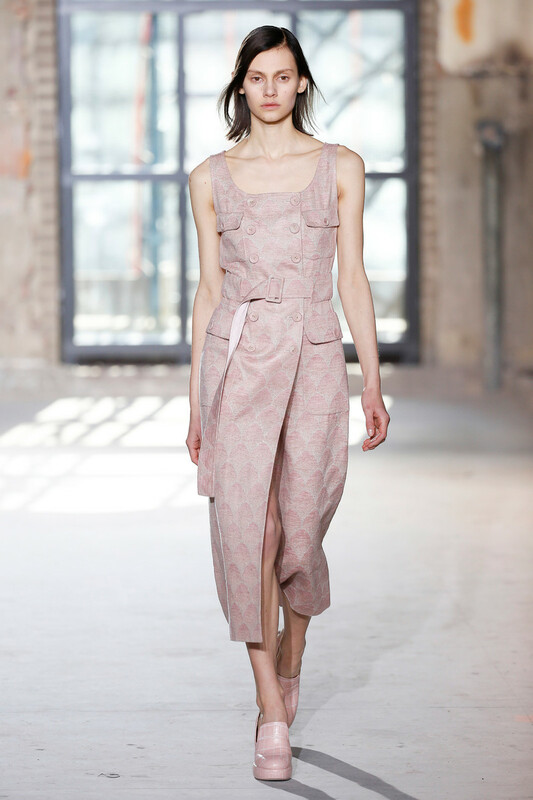 Lak sent out a beautiful wispy silk floral mid-length dress with a twisted cutout detail at the bodice, followed by a cargo pant and tunic version. 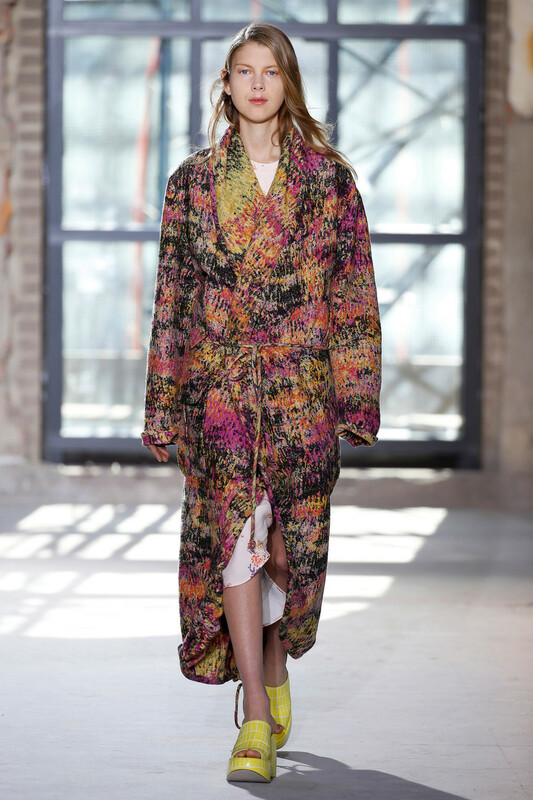 But it was the Impressionist-printed jacket and matching wrap skirt, adorned by a fur stole worn like a slouchy backpack, that set the tone. 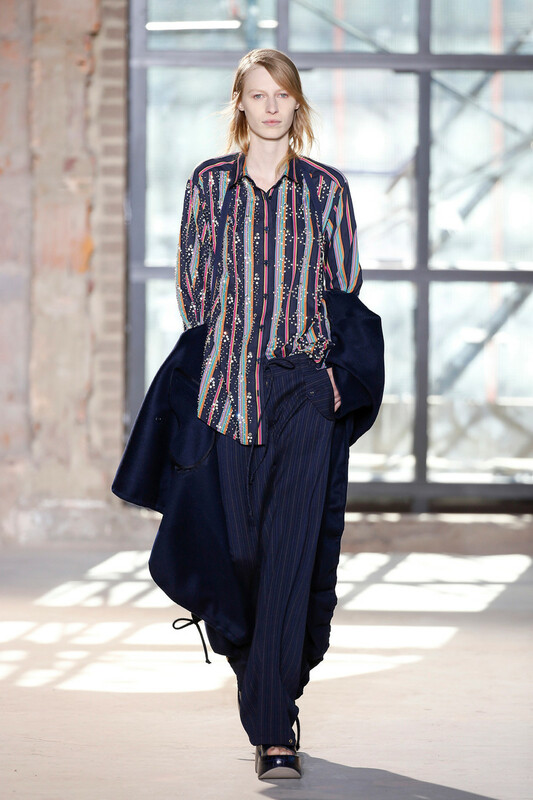 A disheveled button-down shirt, with oversize trousers was next-generation chic. 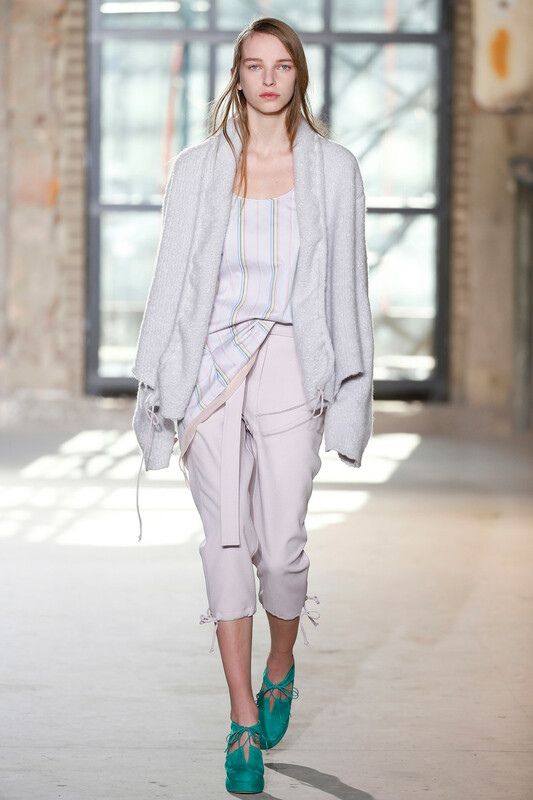 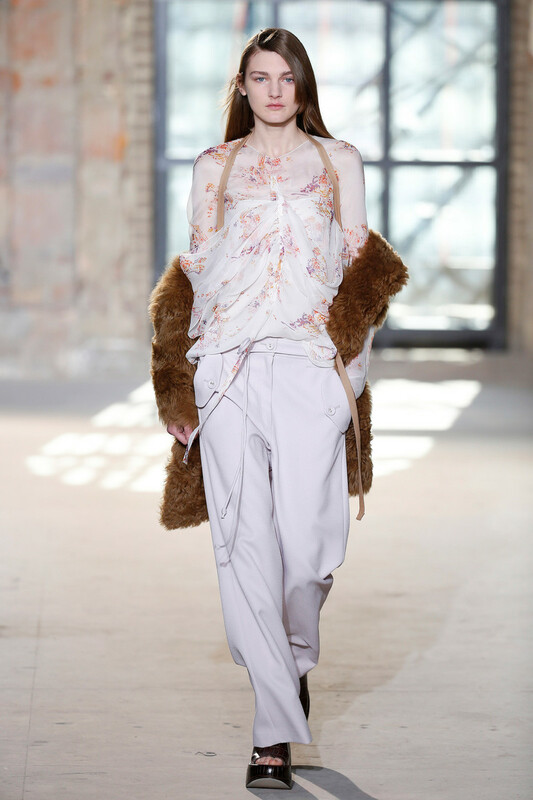 Lak also paired languid tiered knits or big imperfect-ruffled blouses with diaphanous skirts, and showed trench coats that hung from the models’ backs on halter straps. 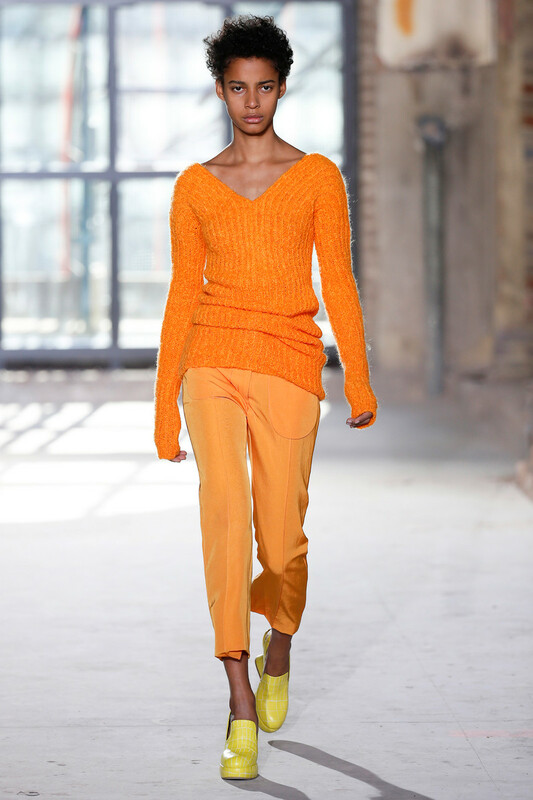 It was all very, very cool.